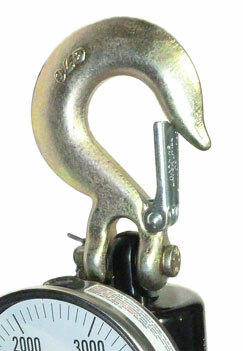 View cart “5th-Wheel Trailer Hitch Weight Scale” has been added to your cart. 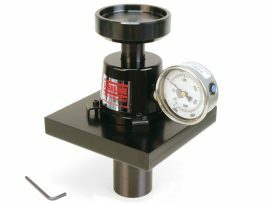 The scale uses a simple hydraulic principle to convert pressure into a reading in pounds on the gauge. With only one moving part and no delicate springs or electronics, it is sturdy and easy to maintain. 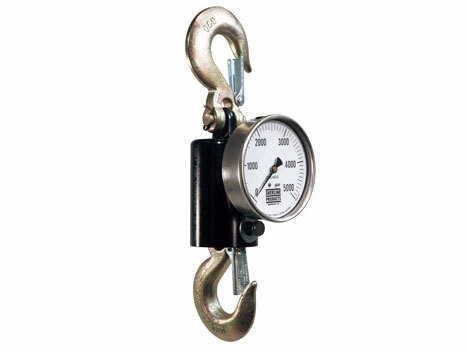 It is offered with your choice of gauge range: 0-2000 lb or 0-5000 lb. The scale is machined from solid billets of steel and aluminum and has forged hooks at either end. The easy-to-read gauge is 4″ in diameter. Overall length is 14″ and actual weight is 5.7 lb. One year guarantee. The Sherline Suspended Scale is shown in use at our plant to weigh an incoming bundle of raw material. The manifest said it weighed 2250 pounds, and the scale reading confirmed we were getting all the material we were paying for. 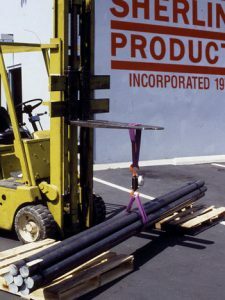 The Sherline suspended hydraulic scale is intended to help you determine approximate weights for use in loading vehicles or trailers. It can also be helpful in any job where placing an item on a scale is not pratical. 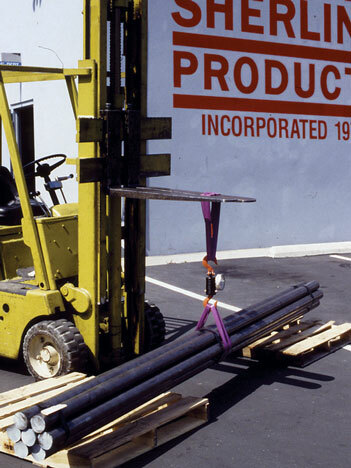 It can be suspended from a block and tackle lift, an A-frame, or a forklift blade. It can also be used horizontally to test pull strength. It has found practical use in farming for weighing bales of hay and tobacco. 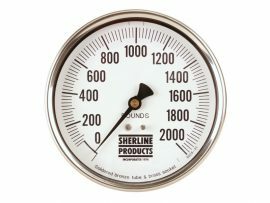 The Sherline scale was designed to provide reasonable accuracy at an affordable price. 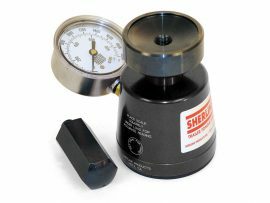 The gauge used on the standard model is rated to be accurate to within 2% of the overall range of the gauge at a mid-range reading. At high or low scale readings, the accuracy is 3%. In most cases this is close enough to assure you are within the safe range of your loading parameters. If your accuracy demands are higher, a different type of scale is recommended. For example, if you are buying material at $50 a pound, you don’t want to be off by 10 pounds, which is $500! For that reason, the Sherline scale is not to be used for trade purposes (items sold by weight). It is stricly for obtaining approximate figures for loading heavy items, and in that context it is an excellent choice for the money. As you can see, the uses for a scale like this are many and varied. Keep in mind that it is an “estimating scale” and is accurate to within 2 or 3 percent. It is not intended for use where material is sold by weight. This level of accuracy is more than sufficient for most shop and field uses. The sturdy construction, economical price and compact size should make the Sherline suspended scale ideal for tasks in your shop too. NOTE: Virtually any motor oil, hydraulic fluid or hydraulic jack oil can be used to replace lost fluid or to refill. CAUTION: Do NOT store your scale on its side, or in temperatures under 32° F (0°C).